For cost effective solutions to your manufacturing needs, contact the thermal spray, traction/release coatings, and machining & cutting experts at ATCAM LLC. We are an ISO 9001:2008 Certified machine shop as of October 12, 2015. View Certification. 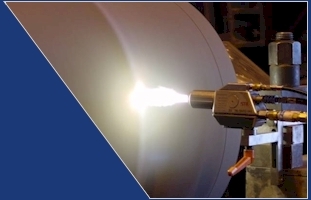 As today's businesses place a greater emphasis on reducing operating costs and improving profitability, the experienced professionals at ATCAM LLC stand ready to meet the challenge with our thermal spraying, release coatings and machining capabilities. 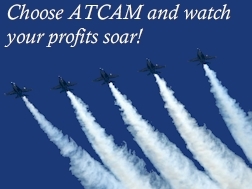 From initial planning to final production, you will find attention to detail, commitment to customer satisfaction, superior craftsmanship and unsurpassed quality in all that ATCAM provides. By combining our modern equipment and technology with old fashioned craftsmanship, the team of professionals at ATCAM LLC are able to meet the diverse production needs of a variety of industries. With our central Fox Valley location in the Little Chute industrial park, 24 hour emergency service and fast turn around on jobs, ATCAM is 100 percent dedicated to providing complete customer satisfaction and support. ATCAM LLC is a locally owned thermal spray and custom machine shop located in the heart of the Fox River Valley. We've recently doubled the size of our modern facility to its present 35,000 square foot size to better provide companies with a variety of coating, machining and repair services. Our location and size allows us to serve a wide variety of businesses throughout the Fox River Valley. We are currently celebrating our 20th year anniversary, opening in 1993 and have since built a reputation based on complete customer satisfaction. Our team of experts and commitment to our customer's success has lead ATCAM to become the leader in thermal spray, machining services, and robotic applied coatings.